In a proposal written on this date in 1940 to Soviet dictator Joseph Stalin and other members of the Soviet Polit­buro, Lavrentiy Beria, who was the unsavory head of the People’s Com­mis­sar­iat for Internal Affairs (NKVD), the Soviet secret police, advo­cated exe­cuting all members of the Polish Offi­cer Corps who had been cap­tured in the Soviet Union’s treach­erous inva­sion of Eastern Poland in Septem­ber 1939. (In their mutual non­aggres­sion pact of August 1939 Nazi Germany and the Soviet Union had secretly agreed on the terms of a divi­sion of their com­mon neighbor prior to Adolf Hitler’s blitz­krieg against Poland on Septem­ber 1, 1939.) From their area of occu­pa­tion the Soviets deported upwards of 1.5 million Poles in 1940–1941. Stalin signed the order to execute 25,700 Polish “nation­alists and counter­revolu­tionaries” kept at camps and prisons in Western Ukraine and Belarus. Their exe­cu­tion was intended to pre­vent them from organ­izing any resi­stance to Soviet rule in their home­land. 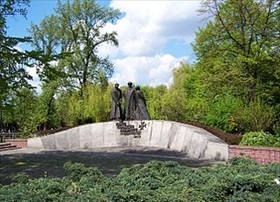 The vic­tims were mur­dered in the Katyn Forest near Smo­lensk in Russia and in sundry Soviet prisons and NKVD-run camps in April and May 1940. Of the total killed, about 8,000 were Polish mili­tary offi­cers and another 6,000 were police offi­cers. (Between 250,000 and 454,700 Polish soldiers and police­men are esti­mated to have been interned in camps by autho­ri­ties after the Soviet inva­sion.) The remain­der of the Katyn vic­tims were Polish intel­li­gent­sia who had been arrested for allegedly being intel­li­gence agents, gendarmes, land­owners, saboteurs, factory owners and business­men, lawyers, officials, and priests. In this manner, and by similar mea­sures the Nazis employed in their (western) half of Poland, the leading ele­ments of Poland’s poli­ti­cal, mili­tary, cul­tural, entre­pre­neu­rial, and edu­ca­tional classes were effec­tively elimi­nated (family members of the exe­cuted were deported to labor camps) and the well­spring of poten­tial sources of resistance to the new order in the conquered territories drained. Months after Hitler had turned on his treaty part­ner and in­vaded the Soviet Union (Opera­tion Barba­rossa), German occu­pation forces found some of the mass graves in the Katyn Forest and trum­peted their dis­covery in their on­going anti-Bol­shevik propa­ganda, going so far as to invite Allied POW offi­cers as well as foren­sic experts and their staffs from friendly or occu­pied coun­tries in Europe to con­cur with them that the Soviets were behind the mas­sacre of Polish civil­ians and mili­tary and police personnel. The 1943 reve­lation led to the end of diplo­matic relations between Moscow and the London-based Polish govern­ment-in-exile. The Soviet Union con­tinued to deny respon­si­bility for the mas­sacres until 1990, when it officially acknowledged and condemned the killings by the NKVD. 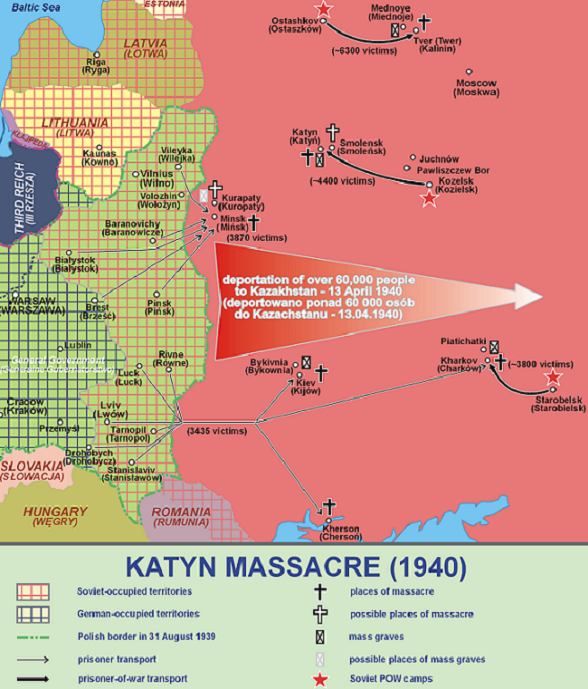 Above: Map of sites related to the 1940 Katyn Massacre. The massacre was a mass exe­cu­tion of more than 25,000 Polish nationals in April and May 1940 carried out by the Peo­ple’s Com­mis­sa­riat for Inter­nal Affairs (NKVD), which had taken cus­tody of Polish pri­soners from the Red Army and oper­ated pri­soner-of-war camps in the west­ern part of the Soviet Union. The victims were mur­dered in the Katyn Forest in Russia, in the NKVD-run Tver (Kalinin) and Khar­kov (Kharkiv) prisons, and else­where. The mass execu­tions are now subsumed under one name, “Katyn Mas­sacre.” Thou­sands more Polish “bour­geoisie ele­ments” were deported to camps in the East, where they endured forced labor, star­va­tion, and neglect or simply disappeared. The Soviet cleansing of Polish society was based on class-poli­tical cri­teria and differed from that of the Nazis’, whose criteria were primarily racial and religious based. 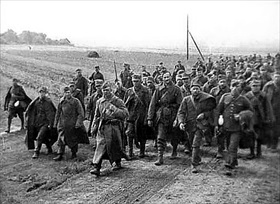 Left: Polish POWs captured by the Red Army during the Soviet in­va­sion of Poland in 1939. Between April and May 1940, the NKVD trans­ferred approx­i­mately 14,500 Polish mili­tary offi­cers from a POW camp in Kozelsk to a forest near Katyn (roughly 12 miles west of Smo­lensk, Russia), where they were executed. 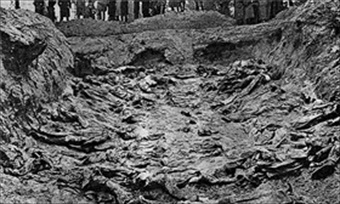 Right: One of the mass graves uncovered by Germans in the Katyn Forest in occu­pied Russia, 1943. Joseph Goeb­bels, the Nazi minis­ter of pro­pa­ganda, used the grim dis­coveries to drive a wedge between the London-based Polish govern­ment-in-exile and the Allies, and rein­force the Nazi line about the dan­ger of Soviet Bol­she­vism to West­ern civili­za­tion. Com­peting com­mis­sions inves­ti­gating the mas­sacre—one a Red Cross com­mis­sion, the other a Soviet one—blamed the other side for the atrocity. Left: In addition to members of the International Katyn Com­mis­sion, a Red Cross com­mittee staffed by foren­sic experts drawn mainly from Nazi-occu­pied Europe, a num­ber of Amer­i­can, Cana­dian, and British POWs, as shown in this photograph, examined the Katyn remains.